I talked with him in his home in West Lafayette a week after getting together with his college rival, John Isenbarger. Yes, it’s true. 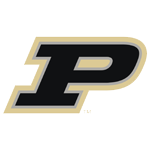 There was a time – briefly – when IU and Purdue battled for a Big Ten title and a trip to the Rose Bowl, rather than to get out of the bottom. Keyes was a genuine college superstar. He was a two-time All-American as a running back, but he also played defensive back and returned punts and kicks as well. He finished his career at Purdue with more than 2,000 rushing yards and 1,000 receiving yards, and finished third and second in the voting for the Heisman Trophy as a junior and senior. Boilermaker fans have voted him onto the university’s “Mt. Rushmore” of football, along with Bob Griese, Rod Woodson and Drew Brees. Keyes attended Purdue at a volatile time for race relations, and he experienced some of the backlash of the Civil Rights movement, as he describes here. He remembers most of his time there fondly, though, and for Purdue fans of that era he was nearly mythical. His NFL career didn’t work out as expected, which adds to the drama of his story. This version is longer than what aired on the radio, so feel free to ignore the closing segment in which I regret not getting into his pro career.